SHANGHAI and LONDON and NEW YORK, April 4, 2019 /PRNewswire/ -- CMC Inc., China's leading media and entertainment conglomerate founded and chaired by Li Ruigang, today announced the restructuring and consolidation of its lifestyle, fashion and live entertainment assets, and officially launched CMC Times Entertainment as an integrated platform to operate CMC's major lifestyle and live entertainment content and related businesses. CMC Inc. is among the first media and entertainment conglomerates in China to build up on lifestyle and live entertainment assets. With a forward-looking vision of international lifestyle trends and a profound insight of local entertainment landscape and consumer needs, CMC TIMES Entertainment has successfully operated and developed multiple highly successful international and original IPs, and accumulated a lot of experiences in content creation for online and offline distribution in the genres of fashion, music, and lifestyle. 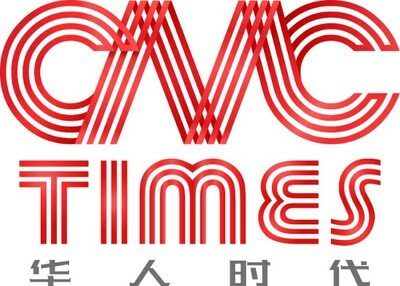 Remarkably, CMC Times Entertainment, in collaboration with international partners, has brought prominent live entertainment franchises into the China market with significant commercial success and enthusiastic reviews. As a member of the CMC Inc. family, CMC TIMES Entertainment represents one major piece in the matrix of film, drama series, theater, game, sports, artist and sports agency, outdoor and indoor themed attractions, technology, and retail of CMC Inc.
Major events and franchises under the belt of CMC TIMES Entertainment include EDC China, which is the China version of one of the world's largest electronic music festivals Electric Daisy Carnival; Shanghai Fashion Weekend, which is the only end consumer targeted event of Shanghai Fashion Week; Channel R, a cutting-edge music label and short video media brand; and Corona Sunsets Festival, a beach lifestyle platform. The CMC TIMES Entertainment team also participated in the localization of global smash hit TV show franchises such as China's Got Talent, and Voice of China. Zhou Hao, CEO of CMC TIMES Entertainment, said, "The Y generation of China grew up in the nexus of Chinese culture, the Internet, and global exposure. Their values and choices as consumers are hugely different from the previous generation. The fusion of international and local elements is uniquely attractive to them. The extensive slate of CMC Inc.'s premium entertainment content and sophisticated network of resources provide distinct synergy opportunities and advantages for CMC TIMES Entertainment to explore innovated content and commercial successes, to localize international events, and to development original IPs." In fashion, CMC TIMES Entertainment created Shanghai Fashion Weekend in the most style savvy city of China, which is the only end consumer targeted event of Shanghai Fashion Week. In an incorporated space of content and consumer experience, featured activities include fashion shows, art exhibitions, immersive experiences, industry leader forums, and integrated online-and-offline retail. Over the past 4 seasons since its debut, Shanghai Fashion Weekend has sold more than 120,000 tickets and attracted over 140,000 participants with a star-studded lineup of top designers and artists such as Gareth Pugh, Castelbajac and Georgia Hardinge. The number of sponsors and major partners exceed 260. The per capita spending of visitors stands between USD 200~500. The 5th season will open at the Shanghai Exhibition Center between April 6 and 8. The franchise will soon land in other major cities in China. In live entertainment, CMC Times Entertainment launched EDC China in Shanghai and Zhuhai last year in partnership with Insomniac. The highly popular electric music festival EDC is among the world's top 3, and has a history of more than 20 years. The flagship festival of EDC in Las Vegas every year attracts more than 400,000 people in three days. At a cost of CNY 60 million, CMC Times Entertainment created and presented EDC China to an extremely enthusiastic audience with all the tickets sold out and making profit from the onset. EDC China was produced by the same technical and equipment standards of EDC in the US, and features laser light, VJ, fireworks shows and 40 of the World's 100 top DJs, including Martin Garrix, Marshmello, Deadmau5, W&W, Disclosure, Don Diablo and Troyboi. EDC China will continue to bring top entertainment experiences, and to work together with partners to explore opportunities in consumer products, artist representation, and fan clubs. CMC Times Entertainment has also brought the world renowned Corona Sunsets Festival, a franchise under the household brewery name Budweiser InBev, to China, and successfully turned it into an attraction of beach lifestyle and chic entertainment. Corona Sunsets Festival tours dozens of cities around the world every year. Channel R, a properietary music label of CMC Times Entertainment, was launched late 2018 and quickly became a chosen partner of many premium brands. Appealing to the youth with the idea of "Live With a Reason", Channel R aims at a comprehensive business centered on the culturally and geographically diversified music of the youth, to include cultivation and representation of artists from China and abroad, short video content, online cinema, and events. Latest productions include short-form documentary about rap stars Street Credit, and live music short film I Only Plug In. Orginally developed event Artificial Electric Secret Party held in spring of 2019 attracted a large number of KOLs and the cool bunch in Beijing. CMC Times Entertainment is a destination of content, experience, and retail, and where it shares, inspires and connects with the youth through fashion and music.